Work smarter, not harder. That is what the Embrilliance embroidery software programs are all about. How to create the machine embroidery you want as quickly and easily as possible. Enthusiast has some wonderful automated features for working with existing embroidery stitch files – such as instant repeat, mirror x4, and scatter. This project was created in StitchArtist using the carousel feature of Enthusiast. When you think about your project plan, its nice to be able to break down the project at hand into small mini projects that take advantage of shortcuts such as the carousel feature. 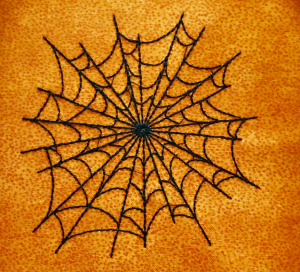 Similar to a snowflake, the spiderweb base begins as a uniform circular repeat of a “wedge type design”. 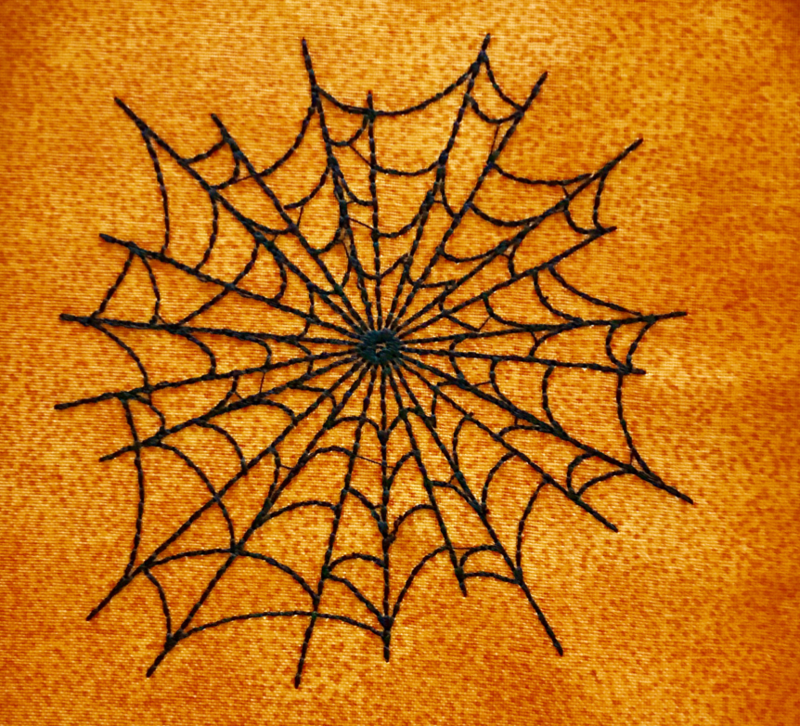 Its always easier to customize and edit, so we take the very uniform computer generated result and give it some personality and character by reshaping some of the embroidered “webs”. In this short video, you will learn about the carousel feature in Enthusiast as well as the automatic optimizing features in StitchArtist. Be sure to bookmark the Embrilliance Youtube channel – its a great starting point for researching and learning about the various program features. If you haven’t picked up StitchArtist or Enthusiast, please visit our store to check out all of our embroidery software products! Posted 1 year, 5 months ago at 1:04 pm.